On Thursday, two-time NFL Pro Bowl quarterback Vince Young officially joined the Canadian Football League after signing with the Saskatchewan Roughriders. How does #VinceYoung look as a Roughrider? 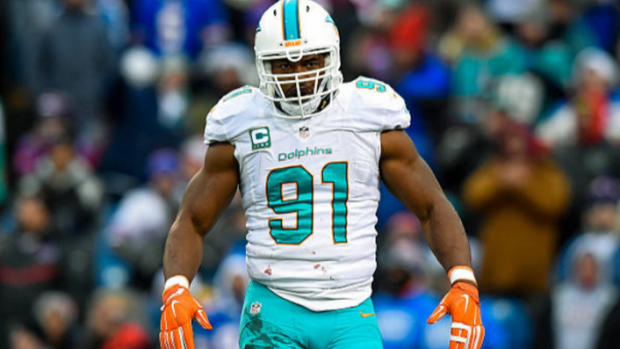 If everything works out, the 33-year-old will join an impressive list of players that have enjoyed success in the National Football League, and played at least one season in the CFL. Here is a look at former CFL players that also participated in a NFL Pro Bowl during their career. All statistics are from Pro Football Reference and totalfootballstats.com. Not many football players can say they were one of the best players at their position in two different leagues. Moon never captured a Super Bowl, however, he did win five Grey Cups with the Edmonton Eskimos and was a two-time Grey Cup MVP before he entered the NFL. Moon has been inducted into both the Pro Football, and Canadian Football Hall of Fames. 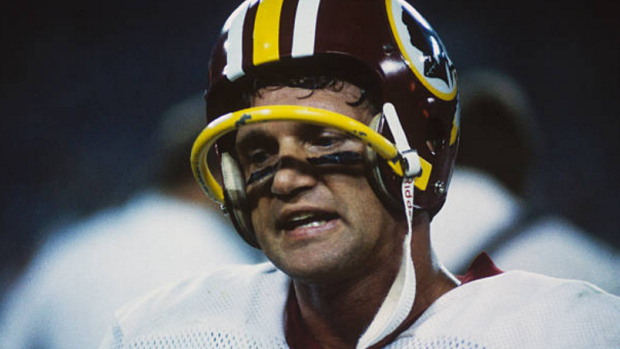 Before enjoying a successful NFL career in which he led Washington to a Super Bowl title, Theismann played for the Toronto Argonauts from 1971-1973. The New Brunswick, New Jersey native’s career came to an abrupt end after Pro Football Hall of Fame linebacker Lawrence Taylor gruesomely fractured his leg on one of the most memorable sacks in NFL history. How could one not cheer for Flutie during his glory days? 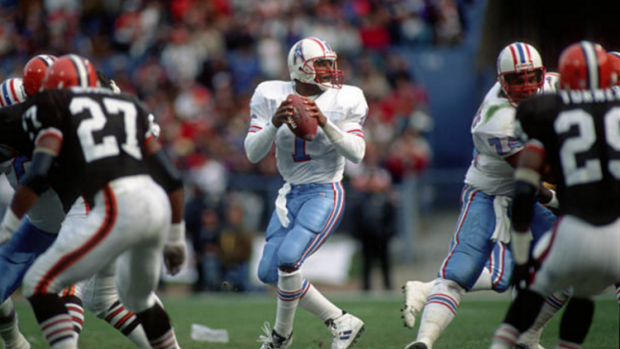 The relatively small quarterback (5’10) won one Grey Cup with the Calgary Stampeders and two with the Argos, and was awarded MVP in all three games. Flutie’s longest time with an NFL club was just four seasons with the San Diego Chargers (2001-2004). Between the NFL and CFL, Garcia was a part of nine organizations as a player. He never managed to capture a Super Bowl, but did win a Grey Cup in 1998 as a member of the Calgary Stampeders. The oldest player on the list, Kapp began his career in the CFL with the Stampeders (1959-1960) and BC Lions (1961-1966) before transitioning to the NFL, where he played with the Minnesota Vikings (1967-1969) and Boston Patriots (1970). He is a member of the Canadian Football Hall of Fame. Before he joined the Montreal Alouettes in 2014, Johnson was known during his days with the Cincinnati Bengals as the most entertaining player in the NFL. 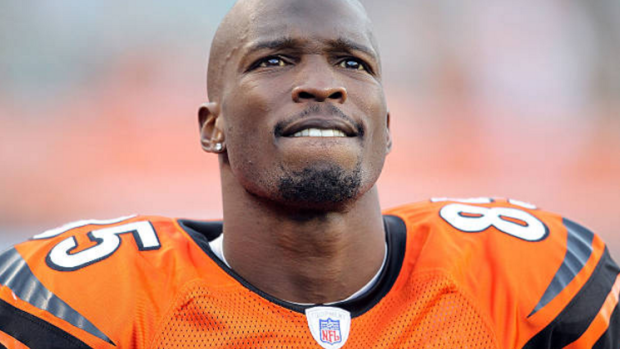 ‘Ocho Cinco’, as he formerly went by, played in only five games with Montreal. 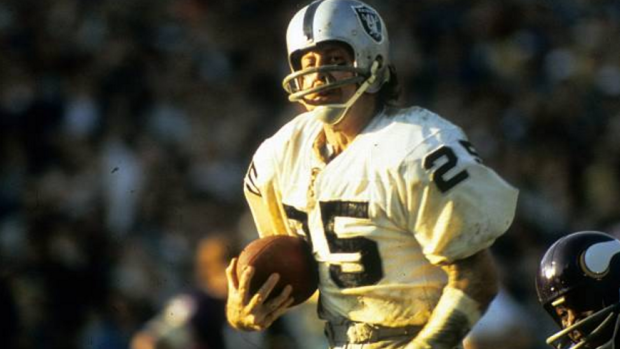 Biletnikoff was a hero during his playing days with the Oakland Raiders, where he led the team to Super Bowl XI and was announced the game’s MVP. Biletnikoff played in only one season with the Alouettes in 1980, where he amassed just 470 yards and four touchdowns through 16 games. It was the last year of his professional football career. 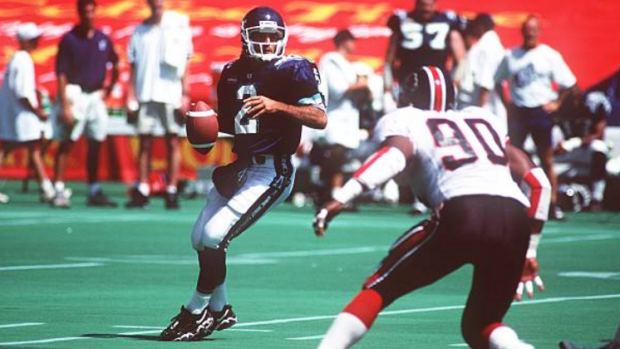 Rison is another player on the list who ended his career with a CFL stint, however, his resulted with more success than some of the others. In 2004, he helped lead the Argonauts to the 92nd Grey Cup. In addition to his five career Pro Bowls, Rison was also announced a First-Team All-Pro selection in 1990 when he was with the Atlanta Falcons. Horn is a unique player on the list because he was one few players in history who played for the CFL’s Memphis Mad Dogs. The Mad Dogs were an unsuccessful expansion team that only lasted in the league for a single season. After the team folded, Horn played for the Kansas Chiefs from 1996-1999 before joining the New Orleans Saints from 2000-2006, where he enjoyed his most success. Wake is the only player on the list that is currently on a NFL roster. The defensive end dominated in the CFL during the 2007 and 2008 seasons with the BC Lions before joining the Miami Dolphins in 2009. The Penn State alum is still one of the NFL’s most dominant pass-rushers. In 1999, the New Orleans Saints traded a king’s ransom to move up in the draft and snag Williams with the fifth-overall pick, who ended up rushing for more than 10,000 yards over his NFL career. 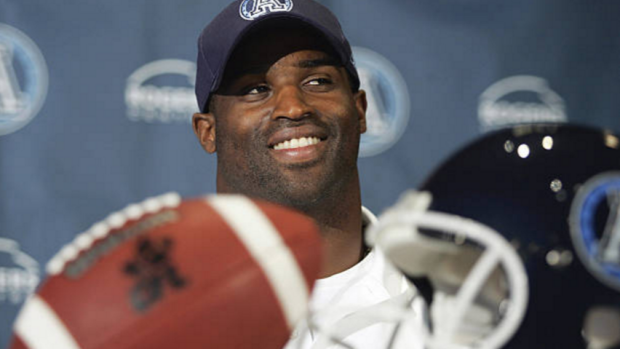 In 2006, the Argonauts signed him after he was suspended for the entire NFL season. Williams rushed for just 526 yards on 109 carries during his lone season, and eventually returned back to the NFL in 2007. Browner enjoyed a successful NFL career, winning a Super Bowl with both the Seattle Seahawks (2013) and New England Patriots (2014). Undrafted out of Oregon State University, the 6’4 cornerback began his pro career with the Broncos (2005-2006), before joining the Stampeders from 2007-2010. In 2008, he helped led Calgary to the 96th Grey Cup.